The studies regularly say students invest nearly 10 hours a week in studying. 1. Mean is not the mode. Students studying an average of 10 hours a week doesn’t mean most students study 10 hours a week. It means if we add all the times up and divide by the number of students we will get 10 hours a week. In a sample of ten students, we could get an average of 10 hours a week by having 1 student study 80 hours a week and 9 students studying a little over 2 hours. The most common student would only study closer to 2. 2. Surveys are not reality. People are notoriously bad at answering survey questions about their life. They dramatically estimate information wrong in virtually every survey of this kind. 4. Bad data corrupts the good data. The survey taker can’t distinguish good data from bad data in a survey like this. They can lop off the extreme highs and extreme lows but that just corrupts the data intentionally to hide how corrupt their original data is because some of those highs and lows are true. I’ve known many a student to write random bs on surveys they are forced to take for class. This is a fundamental flaw with surveys. I understand your view that people have tendency to overestimate the hours they put into study but having been a student at one time myself who liked to party, I was proud of the fact that I breezed through university doing the absolute minimum possible so when answering a question about the hours put in I would personally have been likely to underestimate. I know that I would probably lie when faced with this question, cause I would get scared of being silently judged for being a slacker by the people asking me. I had no idea that students worry about not studying enough when confronted with study results. I don’t think that I’ve ever known a student who wasted 10 hours on studying every week (minus people who have been seen as swots/geeks). I never studied weekly, only when preparing for a test. Interesting perspective. I, too, am a student, and I notice that my grades don’t necessarily drop because I’m not fanatic about the subject, but because I don’t study. Kids these days are pressured to have little time on their hands, joining sports clubs, academics teams, anything to polish their resumes for college. I think it’s an overstatement to say that a majority of students lie on polls. But the key thing to note is the defining aspect of studying. 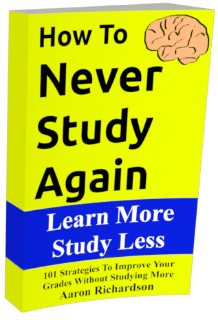 Cramming and studying are too very different things, and I think that’s where kids think, “oh since i spent all of the last two nights cramming for a midterm, I must have studied for a long time that week!” and give themselves an erroneous pat on the back. Questions about studying should add how long do students study over the course of [insert days].